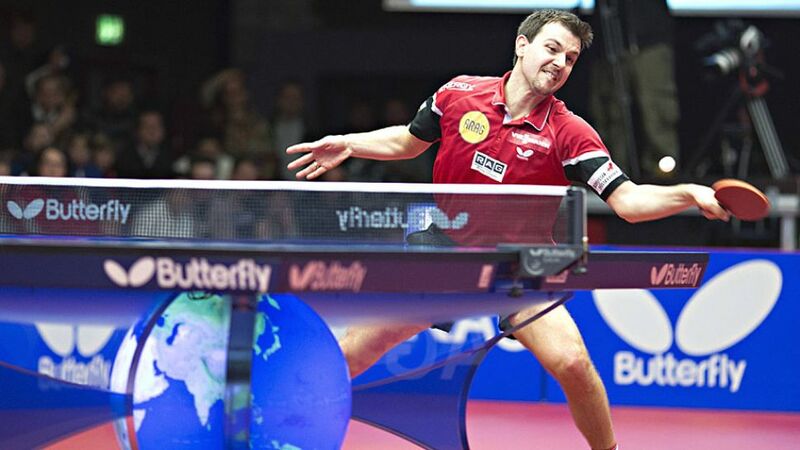 Cologne - When it comes to sporting success, few people have greater first-hand experience than Timo Boll. The 34-year-old is Germany’s greatest ever table tennis player and won silver at the Beijing Olympic Games in 2008, bronze at London 2012, as well as triumphing in the Table Tennis Champions League five times and the European Championship on six occasions. bundesliga.com: Timo Boll, who was your childhood hero? Timo Boll: "Kalle" [Karl-Heinz] Riedle and Michael Zorc. bundesliga.com: How important is the Bundesliga to you nowadays? Boll: Football’s great entertainment for me and I watch it wherever I am in the world. bundesliga.com: What is your favourite Bundesliga memory? Boll: The match between Dortmund and Schalke in 2008. When BVB equalised to make it 3-3 I injured my elbow celebrating. bundesliga.com: Which match are you most looking forward to in the new season? Boll: Unfortunately, because of my schedule, I only rarely get time to be at games live, so if I go it’ll have to be a spur-of-the-moment thing. bundesliga.com: Which team do you think could spring a surprise in 2015/16? Boll: I hope Dortmund can return to their glory days, after a brief wobble last season. bundesliga.com: Who would you like to see Bayern play in the opening game of the campaign? And what do you think the score will be? Boll: I’d like to see them play Bayer 04 Leverkusen. I think it’d be a close game and as reigning champions Bayern will have a tough task to start with. The league, or rather the title race, will be closer than it was last season.